According to Bloomberg Business, Twitter has reached a deal with Google to have its Tweets appear in Google’s search results. This is huge news for businesses that use Twitter as part of their social media marketing. She was right. The partnership will take effect May or June of 2015. What this means is Google will no longer have to crawl the Twitter site for content. It will be automatically visible and picked up to be the results in search queries. The relationship has the potential to bring more users to Twitter and even draw those users already on board to the site more often. Twitter is my primary social media network for my business, so I’m thrilled. For Twitter users this means more visibility, a greater opportunity to be the results for a search query, more authority, more conversion possibility, and increased search ranking. There are 284 million Twitter users who microblog through Twitter’s “firehose.” This is the stream of content produced by those users and will allow Google to have instant access to it. This partnership is a renewed venture. The two companies had a similar relationship back in 2009. It lasted into 2011. At that time, Twitter’s former chief operating officer chose not to renew their agreement. While this is huge for Twitter, Google also makes out by having instant access to all the content Twitter users produce. NEED TO GET YOUR INBOUND MARKETING HEADING IN THE RIGHT DIRECTION? 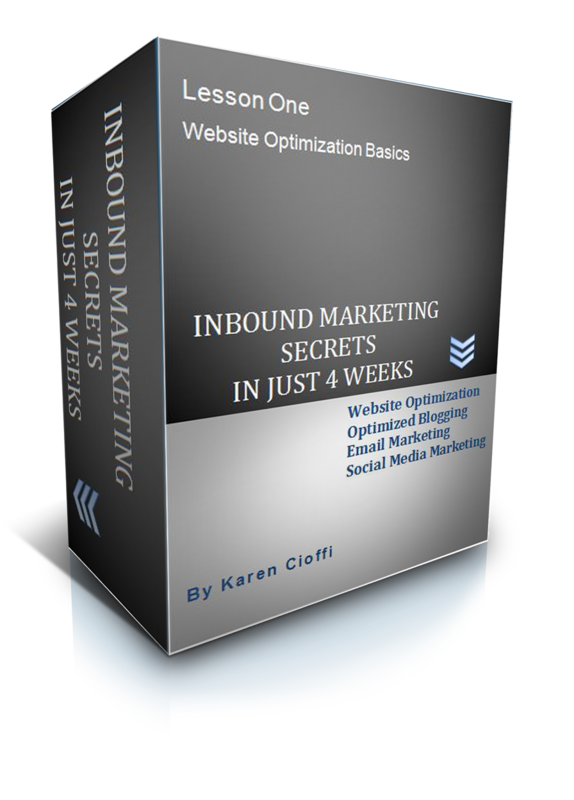 Inbound Marketing Secrets is just what you need. It's a 4-week e-class and covers: optimizing your website, blogging smart, email marketing, and social media marketing. Plus a Bonus Lesson! It's interactive, in-depth, and easy-to-learn. Check it out and get started today. Just CLICK the link above for details. Blogging- Does Anyone Read What You Write?